What do the letters CDC stand for? It’s the first initials of the last names of the three guys who started the company. Eventually, the other two partners moved on to other ventures, but I kept the name because we had such a good reputation at that point. How did you learn the crating business? 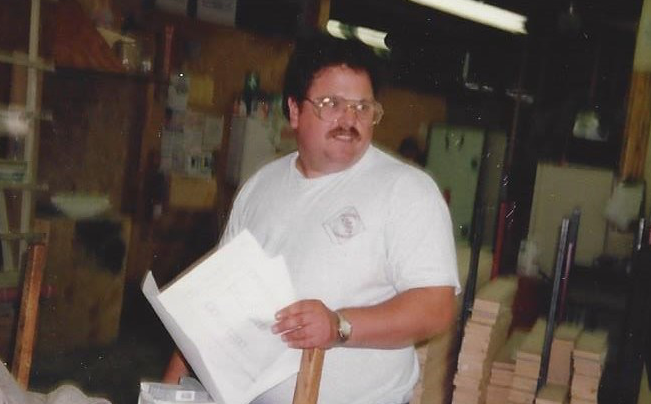 I worked for a local custom crating company in the 1980’s. I started out as a “grunt” laborer doing everything nobody else wanted to do with a smile on my face. I swept the floors and caught material behind the automated machines. I was really dependable and kept showing up to work on time, so I eventually worked my way up to third in command. There wasn’t any magic, just good old-fashioned hard work. How long did it take for CDC Packaging to turn a profit? Actually, we were an almost instant success. Two of us had worked directly with a lot of important customers when we worked for another local crating company and they came with us when we went out on our own. Our relationships with Eaton Corp., Energy Science, Inc., Muth Associates, Stephen Gould, Raytheon, and Lucent Technologies helped us succeed right out of the gate. So it was smooth sailing from Day One? No! It was stressful…and exciting…and tiring. Space was a big challenge for us early on. We shared a building with a machine shop and a mill-working business at first. Eventually, we occupied the whole space and even added two additions. Cash flow was also an issue. We had to do some convincing to get suppliers to give us credit early on. But we sold them on the idea that we were going to be successful and our cash flow issues resolved within a year. What were the early days at CDC like? Well, when we first started out, of course, we had no income, so my wife worked at Dunkin Donuts and my dad helped out a bit. I did all the sales for the first 15 years. I used to keep a change of clothes in my office, so that I could wear a button-down shirt or polo whenever I met with a customer. Then I’d change back into my work clothes and go back to cutting wood and hammering nails. And I’ve always been the money guy since Day One. I’d bring my file box and typewriter home so I could type up the invoices at night. But I don’t think the checkbook was ever reconciled until Year 2. Thankfully, we moved from carbon copy checks to a Packard Bell computer within a year or two. How did you make time for life outside of work? It wasn’t easy. I was pulled in a lot of directions, especially having three kids aged 3-12 when I started out. I would get to work at 6 AM and come home at 4 PM, sometimes 7 days a week! Through everything, I always tried to have dinner with my family. Sometimes I would drive 20 minutes home so we could sit down together, then drive back to work afterwards. Or my wife would bring the kids and the dinner to CDC so we could eat together. That was always important to my family. How did you learn how to run a business? I learned a lot from working with my business partners, from consulting with Boe Woulfe of Clear Path Consulting, and from reading countless business books, such as the Steven Covey series. But most of what I’ve learned, I learned the hard way. I make a mistake and learn from it. I try to be methodical; I work hard to do research and don’t make instant decisions. And I’m not afraid to call up a “friendly competitor” to discuss how they might solve a situation I’m facing. Who were some of your most interesting early customers? One of our first customers made artificial hearts and the bypass machinery used during heart surgery. When we were in the building measuring the machinery they needed to ship, we encountered a cow that was being used as a test subject for the bypass machines. Also, 20 or so years ago, when only the biggest companies could afford to own video-conferencing equipment, we helped PictureTel ship 50” and 60” televisions, along with the various electronics required to connect distantly-located offices. What is the largest item CDC has shipped? We created a heavy-duty skid using 8” x 8” oak lumber to support a 55,000-pound vulcanizing machine. It had to be moved from the building onto a flatbed truck using a crane. How has CDC changed over the past 25 years? Read more about how CDC has evolved since opening its doors in 1993.